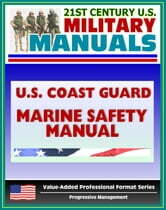 Part of our value-added professional format series of U.S. military manuals, this U.S. Coast Guard (USCG) manual covers the basics of the marine safety program including boating safety, commercial vessel safety, environmental response, and more. In the early 1800's, Congress was reluctant to address "marine safety" issues with regard to the steamboat industry. Only after a long series of marine incidents, involving heavy losses of life and property, did Congress enact legislation and create a federal organization, the Steamboat Inspection Service, to preserve and protect the public from preventable marine incidents. The preservation of life in the aftermath of a marine incident was carried out by federal search and rescue forces; the protection aspect (before-the-fact) was handled by federal agencies involved with maritime law enforcement and aids to navigation. The Coast Guard's current marine safety programs still retain the overall philosophical objectives of the historical preservation and protection programs. As a result of myriad statues and regulations affecting the marine environment and the marine industry, several distinct programs concerned with marine safety and related issues have evolved: Commercial Vessel Safety (CVS), Port and Environmental Safety (PES), Marine Environmental Response (MER), Waterways Management (WWM), Recreational Boating Safety (RBS), and Bridge Administration (BA). The MSM is the primary policy and procedural statement for the marine safety programs of the Coast Guard. 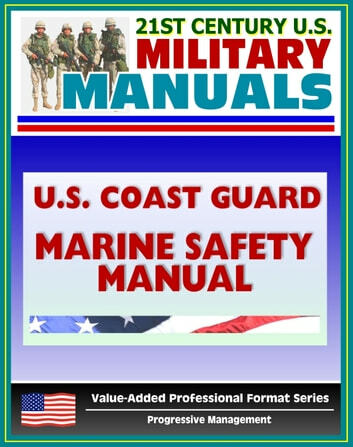 Published for the use of all Coast Guard marine safety and industry personnel, it prescribes the essential functions which must be performed to attain the overall objectives of the CVS and PES/MER/WWM Programs and certain investigative functions of the RBS Program. The MSM should be used as a guide for consistent and uniform administration of marine safety activities, without undue hampering of independent action and judgment by marine safety personnel.